Never mind the history : former thriving youth centre for sale at knock down price, only 200 grand! The property comprises a single storey brick built premises beneath a pitched slate roof. Internally the property is split into circa 20 rooms comprising offices, meeting rooms, large central hall, stores and kitchen/WC facilities. There is a mix of vinyl, laminate and carpeted flooring, fluorescent strip lights and some rooms with suspended ceilings. Externally there is a yard to the rear and some smaller out buildings for storage. 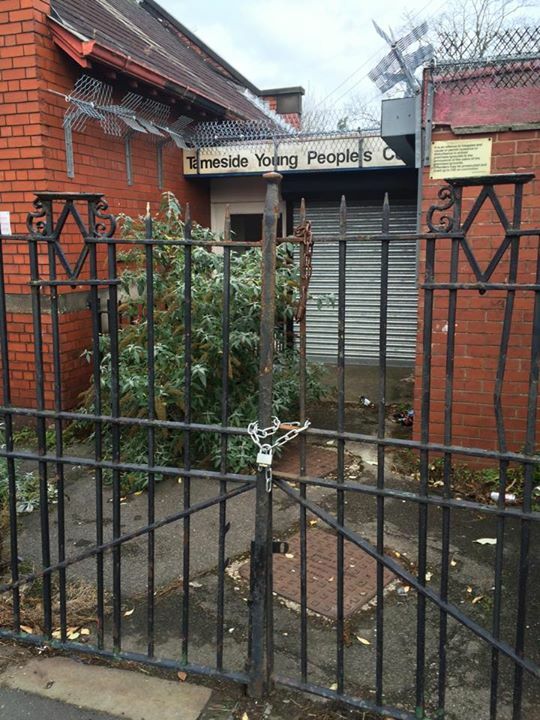 Perhaps one of our youth sector’s CEO’s beloved social entrepreneurs will save the day and reopen the centre as a social enterprise, claiming to be new and innovative, whilst vainly trying to mimic the past. Not very likely? Or perhaps in struggle we can breathe fresh life into a youth work worthy of its name and rescue the centre and its history. We can but try. Collect keys to view and then move in and occupy the building ! Heavens, Sue, you haven’t changed a bit… Best wishes, Tim Caley (Kelvin YC 1972-76)……! !